3 Bedroom Semi Detached House For Sale in Stoke-on-Trent for Guide Price £140,000. 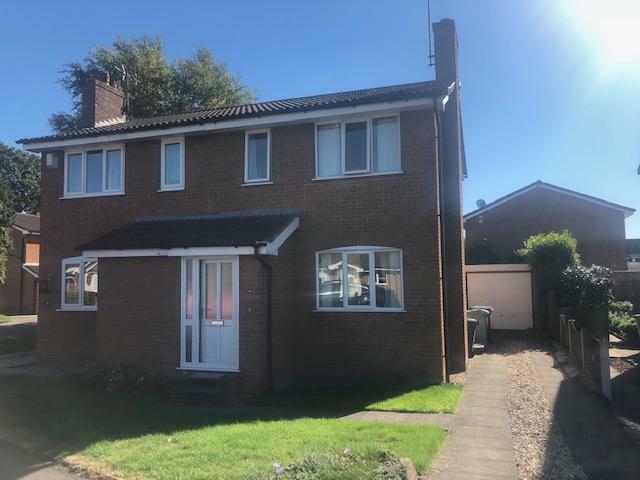 Offering no onward chain, this well presented three bedroom semi detached house is situated in a popular residential location. The property is well presented throughout, much to the credit of the current owner. The property briefly offers, lounge/diner, modern kitchen, three bedrooms and bathroom with modern three piece suite. The property has gas central heating and double glazing throughout. Externally there is a front and private rear garden, driveway and garage. White three piece suite comprising Pedestal wash hand basin, WC, 'P' shaped bath with shower and enclosure over, partial ceramic tiled to walls, obscure Upvc double glazed window to side elevation. The property is located in a cul-de-sac and offers a driveway leading to a single detached garage. The rear garden is fully enclosed and has mature borders and a lawn area.